The City of Edinburgh is the rapidly growing capital of Scotland, approaching 500,000 inhabitants. The city exerts pressures on the surrounding area. 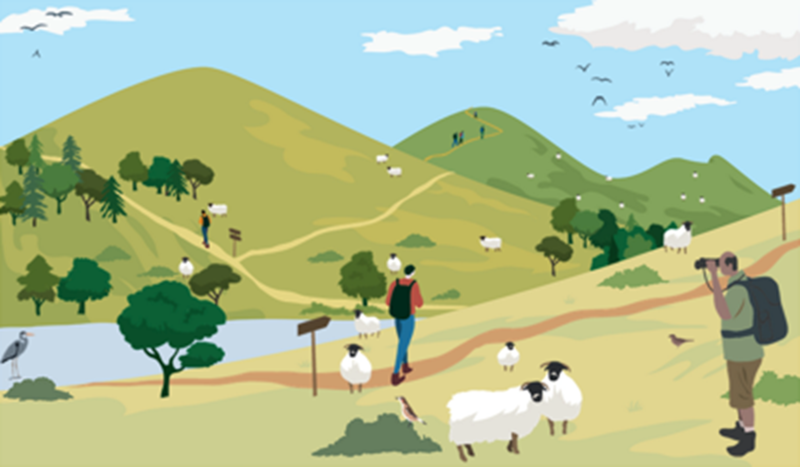 This study looks specifically at recreation pressure in the Pentland Hills Regional Park, and impacts of rapid urban expansion in East Lothian. Both cases, ecosystem services valuation tested as approaches to support planning. Strong engagement by local stakeholders aided the understanding of the case study area and research context. Furthermore the East Lothian Council was very supportive and provided several services which facilitated the research. The close collaboration with Scottish Natural Heritage in the Pentland Hills supported the interaction with the local stakeholders further.